Hey! I’m Ben, and this is my first blog. I’m just going into my second year as an Engineering Student at the University of Leicester. In September I’m moving into a house with four other engineers in Clarendon Park, but until then I’m back with my parents on a small farm in rural Worcestershire. And it was in Worcester where, last weekend, I won my first Quidditch Tournament! But before all that I thought I’d give you a quick history of Quidditch at Leicester and how I got involved. You’ve probably heard of the game and you might even know some of the rules because it’s based on J.K.Rowlings ‘Harry Potter’ series. 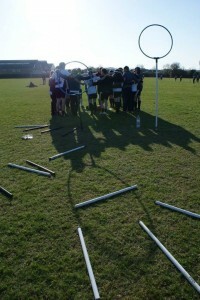 Muggle Quidditch, the non-fiction version of the game was created in the States in 2005. 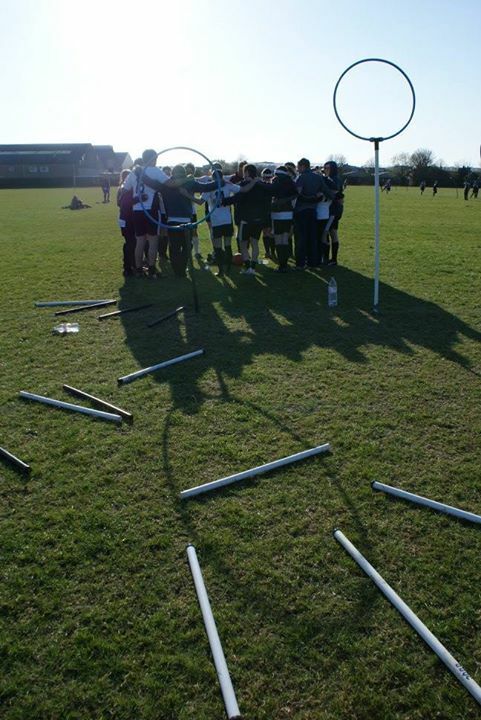 The University of Leicester was one of the first to bring the game to the UK and the organising body, Quidditch UK, organises regular fixtures including a British and European Quidditch Cup which will be held this year. Its almost a year ago now, as a bright eyed fresher, while signing up to everything from rowing to re-enactment society, that I agreed to go to a free Quidditch taster session. I never intended for it to be a long term thing, I just wanted to tick it off my bucket list- honest! ‘Its a mixture between dodgeball and rugby’ they told us. What they didn’t mention was how tactical, violent and addictive the sport is. We played in the middle of Victoria Park and it was quite embarrassing at first, charging round with a broomstick between your legs, but you don’t have time to be self concious for long or you’ll be ‘face beat’ (technical term) and tackled to the ground before you know what’s hit you. The people there were fantastic and the promise of all sorts of socials like the Yule Ball and pub golf meant I’ve been going back ever since. Anyone starting uni in September should make the most of all the free events societies host- get stuck in there, whether you fancy Poker or Ultimate Frisbee! So yes it looks ridiculous, and no we don’t fly but it’s a hell of a lot of fun!